The smell greets you first. And once that heady aroma hits, it starts to make your mouth water and your tummy grumble, even before the thick saucy goodness touches your lips. 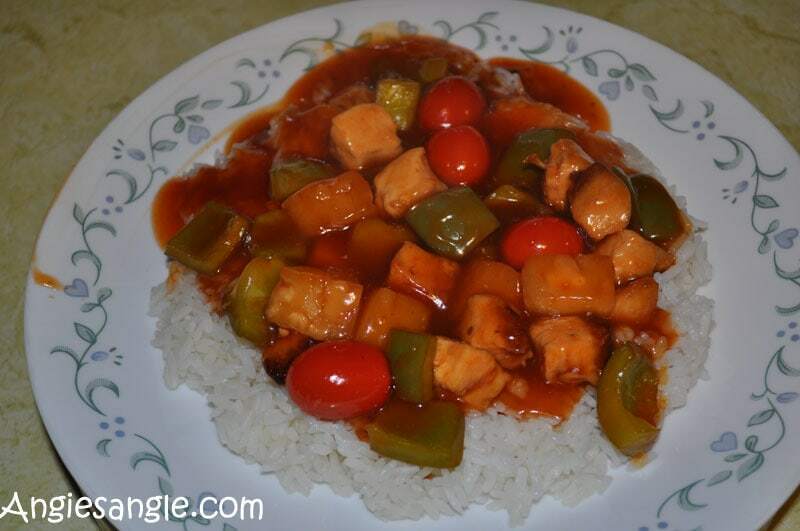 This family favorite of Sweet n’ Sour Chicken looks and tastes like nothing you’d order in any restaurant. Most noteworthy it has big chunks of chicken, pineapple, cherry tomatoes and sweet peppers over a nice bed of rice. 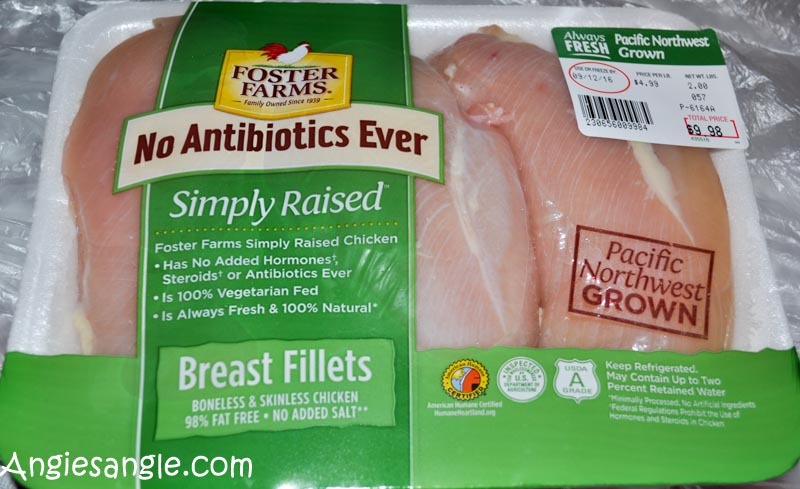 What makes it more mouth watering and tempting is that it’s made with Foster Farms Simply Raised Chicken. 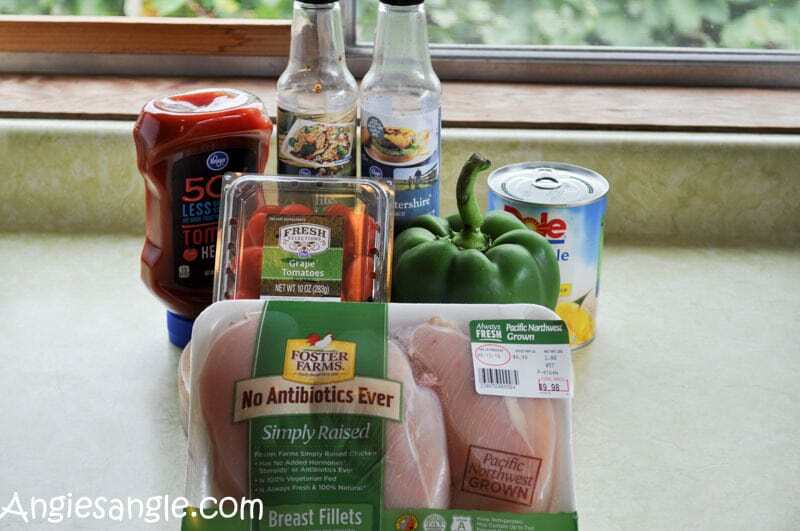 Most of all, it’s locally grown chicken with no antibiotics ever. Knowing what you are serving your family is healthy and good for you is an amazing piece of mind and allows you to enjoy that meal even more. Family dinners are so important and sometimes hard to achieve. 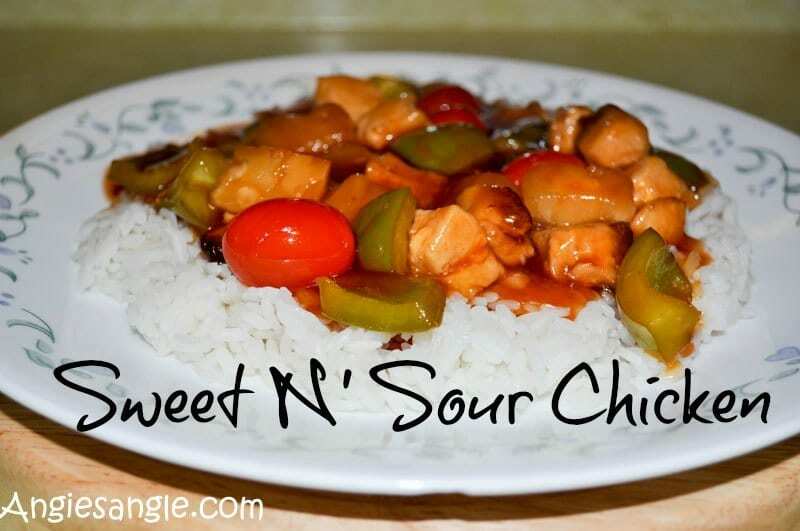 Nicely, you can throw together this Sweet n’ Sour Chicken easily during the week. Providing them a simple, healthy meal with Foster Farm Simply Raised Chickens will make this a new family dinner comfort food. Foster Farms is all about the new comfort food, which has that healthy balance of good finds while also being something you crave filled with local seasonal ingredients. Quick easy prep time while having only a few ingredients. And fall is all about finding those new comfort food recipes. Find even more on the Foster Farm site, here. First introduced to this new Sweet n’ Sour Chicken many years ago when Jason and I first got together and never liking sweet n’ sour sauce before I was very leery of trying this dish. Jason finally made it one evening for dinner and now it’s what I usually request for my birthday dinner. It’s simply amazing, to say the least. Everything you need for this dish is simple and nothing you haven’t heard of before. You may even find have everything you need for it on hand. Most items are staples to any kitchen, but you may need to head to the store for the Foster Farm Simply Raised Chicken. First of all, start out by cooking the chicken pieces (3/4-inch pieces) in oil in the skillet over medium heat until brown, at least 15 minutes. While that is cooking prepare your sweet n’ sour sauce. 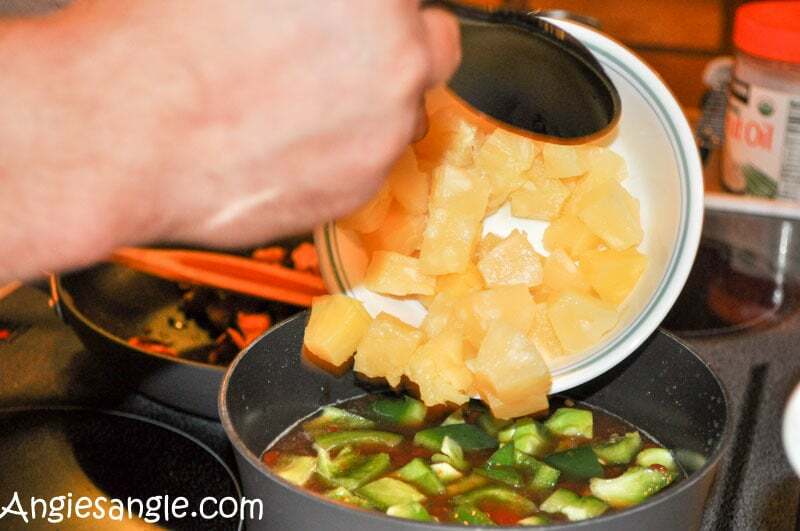 To make the sauce, drain the juice from 1 can (13 1/4oz) pineapple chunks into measuring cup. Reserve the pineapple chunks. Mix 1/3 cup of the juice from the pineapple juice, 1/2 cup each of sugar, water, vinegar and ketchup, 2 teaspoons Worcestershire sauce and 1/8 teaspoon red pepper sauce. After the chicken is cooked, sprinkle with the soy sauce and salt. For us, we tend to move the chicken from the skillet into a big pot to do the rest, but you may leave it in the skillet if it’s big enough. Since we normally double or even triple the batch, it’s just overall easier. 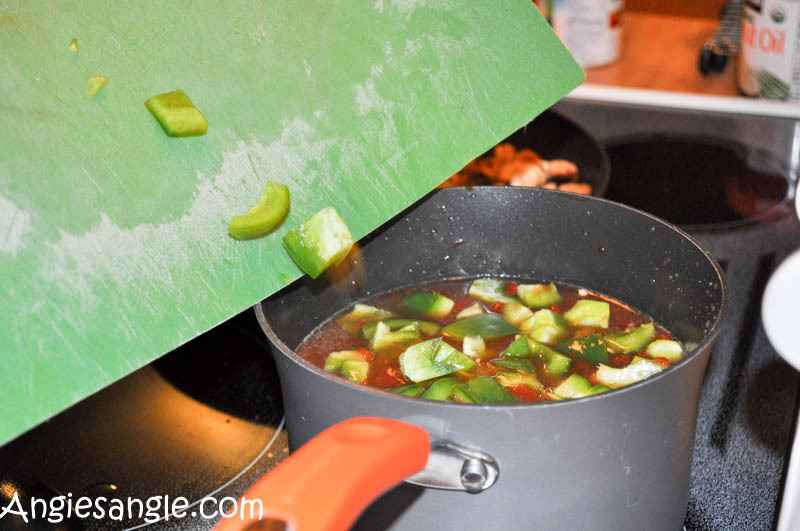 Now pour the sweet n’ sour sauce over the chicken and heat to a boil then reduce heat. And now cover and simmer for about 15 minutes. Finally, serve the chicken mixture over rice and sprinkle with peanuts if desired. 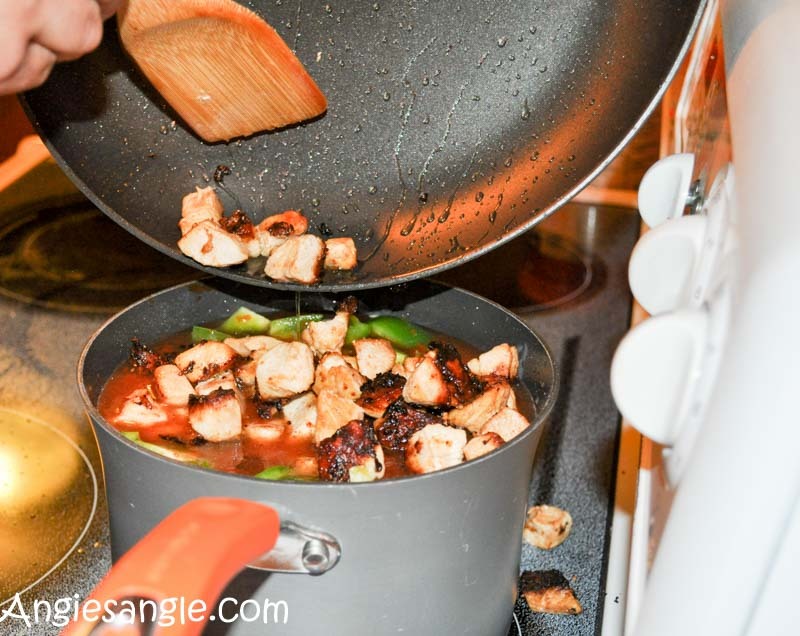 Cook and stir chicken pieces in oil in skillet over medium heat until brown, at least 15 minutes. Prepare your sweet n' sour while the chicken cooks. Drain juice from 1 can of pineapple chunks into measuring cup. Reserve the pineapple chunks. 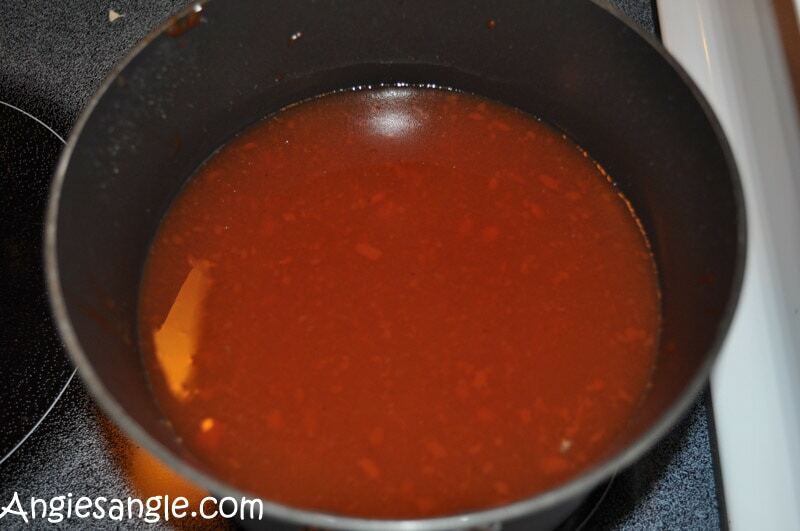 Mix 1/3 cup of the pineapple juice, 1/2 cup each of sugar, water, vinegar and ketchup, 2 teaspoons Worcestershire sauce and 1/8 teaspoon red pepper sauce. Once chicken is cooked sprinkle with 1 teaspoon soy sauce and 1/4 teaspoon salt. Then pour sweet n' sour sauce over the chicken. Heat to a boil and then reduce heat. 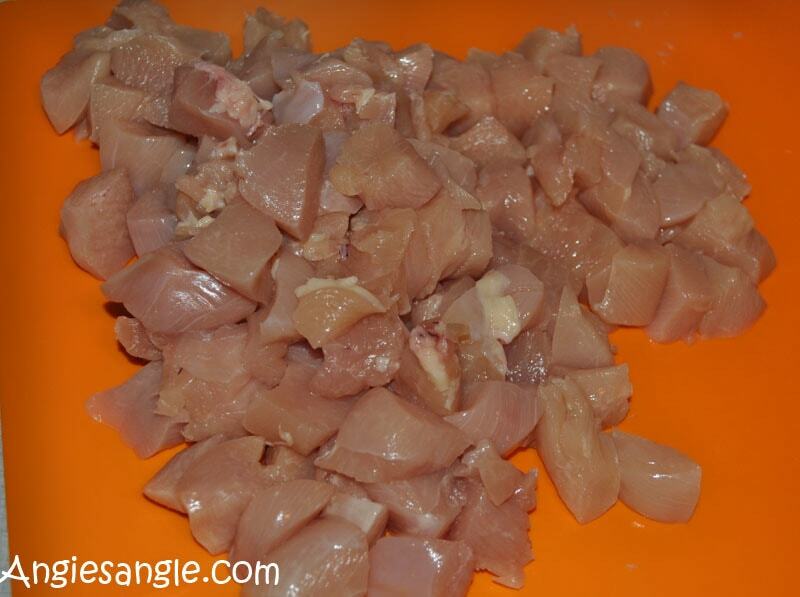 Mix 1 tablespoon cornstarch and 2 tablespoons water and stir into chicken mixture. Boil and stir for one minute. 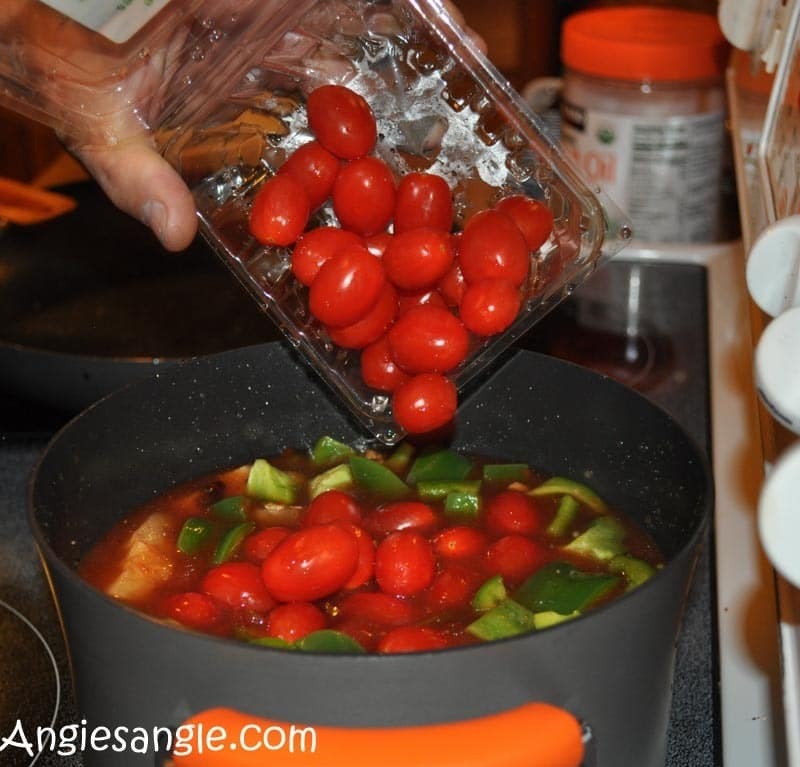 Stir in reserved pineapple chunks, green pepper, and tomatoes. Heat until pineapple and tomatoes are hot. Voilà you have a new comfort food favorite, I hope, as it’s one of mine and doesn’t take long at all. Will you be trying this Sweet N’ Sour Chicken made with Foster Farm Simply Raised Chicken to find out if it will be one of your new comfort foods? Or will you be checking out Foster Farm Simply Raised Chicken site and seeing what other new comfort foods you’ll be trying? 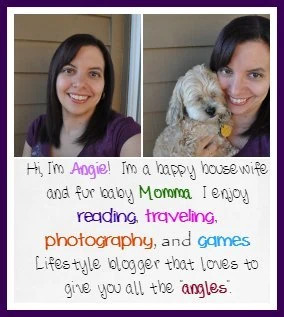 I can’t wait to hear what you’ll be trying!